Sea Shepherd has embarked on over 200 voyages covering many of the world's oceans and defending and saving defenseless marine life all along the way. For 31 years, Captain Paul Watson has been at the helm of the world's most active marine non-profit organization - Sea Shepherd Conservation Society. 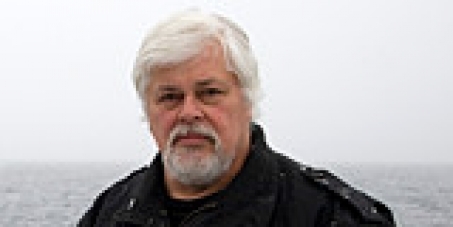 Paul Watson:" I have been honored to serve the whales, dolphins, seals - and all the other creatures on this Earth. Their beauty, intelligence, strength, and spirit have inspired me. These beings have spoken to me, touched me, and I have been rewarded by friendship with many members of different species. Paul Watson must be allowed to continue leading this good work striving for the safety of our ocean wildlife. There is no good reason that exists for him to be extradited to Costa Rica and then to face trial. This would be unjust in itself. We all call for his immediate release.